Can one car do it all? Our friends at Ford may have answered this age-old question with the Focus ST. This practical hot hatch features a buttoned-down suspension and plenty of power, yet still offers enough safety and practicality for real-world duty. While the Focus ST is an impressive piece, rumor has it that the car really comes alive with a few tweaks. We headed to Road America to see if this was true. Located just a few miles from Road America on the outskirts of Plymouth, Wisconsin, you’ll find Mueller Motorwerks. We met founders Ray Solt and Kelly Mueller back in 2010 at Road America, where they were selling speed parts out of a single-axle trailer. 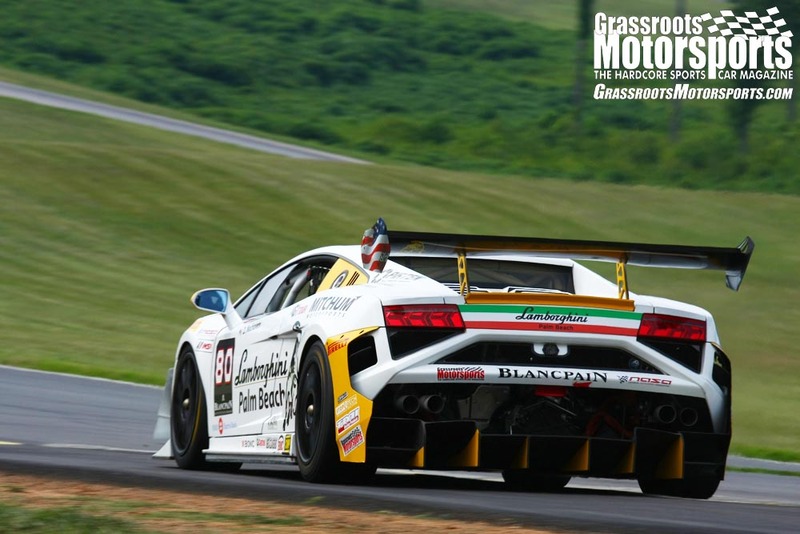 Determination, honesty and a lot of hard work have helped them steadily build Mueller Motorwerks into one of the upper Midwest’s major motorsports players; the firm also offers dyno tuning, roll cage fabrication and even complete race prep. 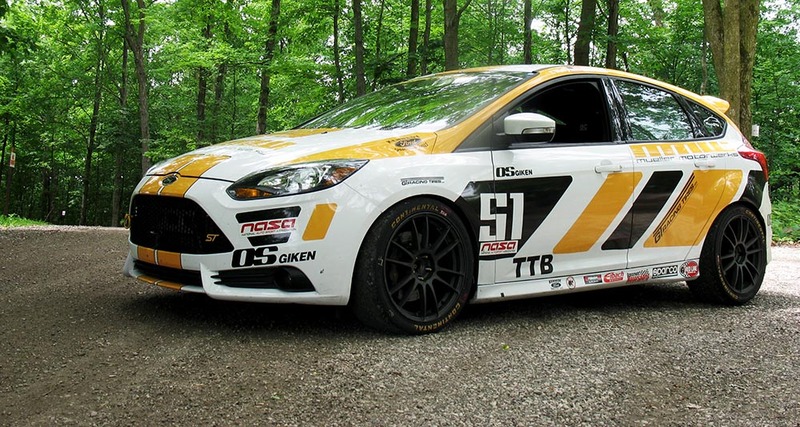 To showcase their talents, they’ve also built a 2014 Ford Focus ST for track use. 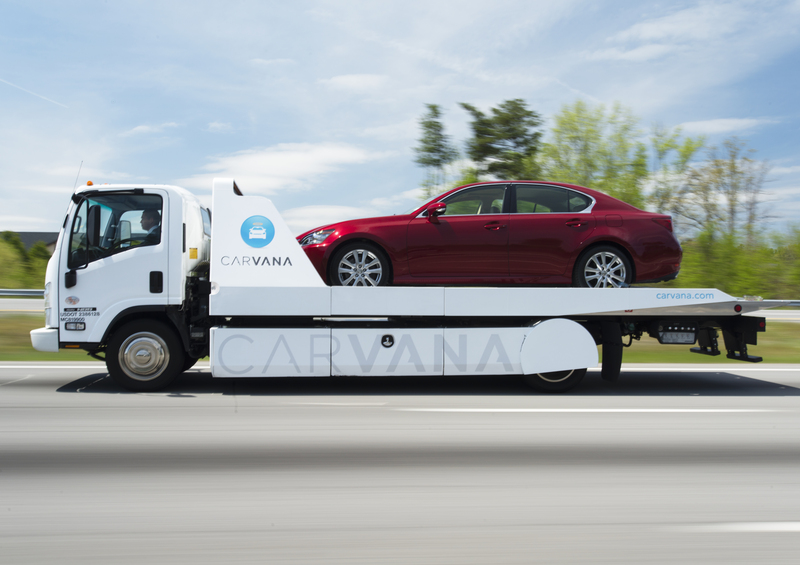 The car uses a number of pieces designed by Mueller Motorwerks and serves as a test bed for their products. It’s a regular competitor, too, with a NASA Midwest TTB Time Trial crown to its credit thanks to regularly fending off higher-profile machines like V8 Mustangs, Mitsubishi Evos, and even an SRT-8 Dodge Challenger. 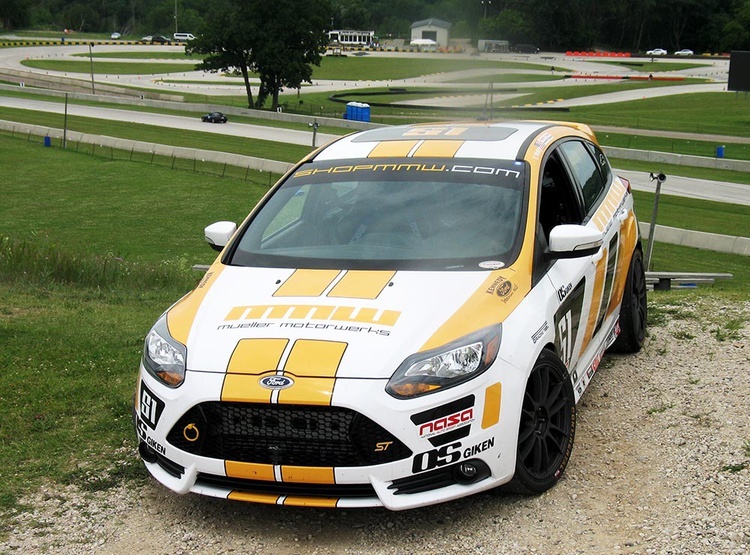 We were eager to test the Mueller Focus at speed, and nearby Road America would make the ideal venue. 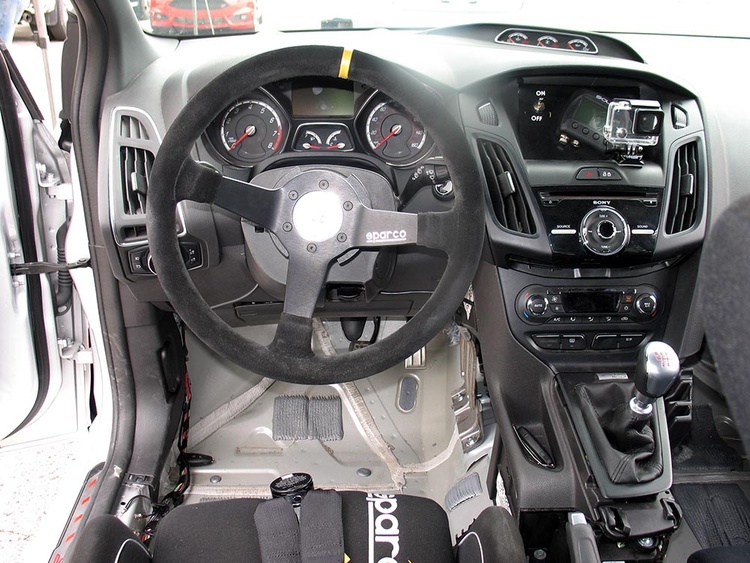 The track’s high speeds matched with corners that define “pucker” would bring to light this Focus ST’s strengths and weaknesses. Our test setting would be a Chin Motorsports track day. Chin promises more tracks and more track time, and nearly 50 events held each year back up that promise. Chin’s program differs a bit from other track days, in that they put all run groups out on track at the beginning of the day for a few yellow-flag laps. The idea, they explain, is to allow each participant the chance to acclimate themself to the track under slower-than-usual conditions. It also gives experienced drivers a chance to warm up for the day’s activities. Later that morning, run groups head out at speed, with beginners running with instructors and more experienced drivers heading out solo. 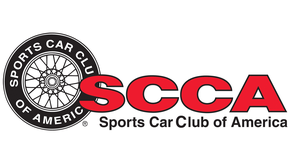 Instructors are an essential part of any track day experience, and Chin Motorsports rewards their trained instructors with at least 21/2 hours of time on track, per event, at no cost. All that is required is that these instructors help to tutor less experienced drivers throughout the day. 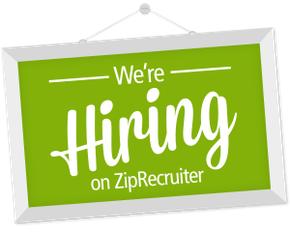 It’s a win-win for the instructors, and it helps to create a welcoming environment for both the beginner and the experienced driver. Chin also closes their track days with a happy hour segment: all drivers from all groups can get on track together for a few extra laps. As we noticed, this session also gives novices a chance to learn from the experts. 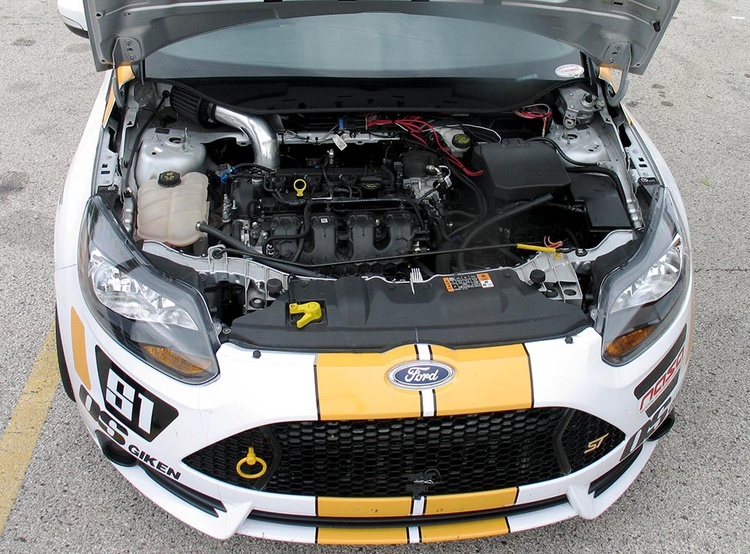 A walk-around began our day with the Mueller Focus ST. Mueller Motorwerks’s head tuner, Tom Geise–who bears a striking resemblance to Packers QB Aaron Rodgers– explained that while the Focus ST is a great starting point, a few modifications a re needed for any serious track work. The Focus ST, like many new cars, features a myriad of electronic devices to keep the car operating at its best–for most consumers. These computer aids help to wring the most from the Focus platform, but they also place obstacles in the way of those seeking more velocity. 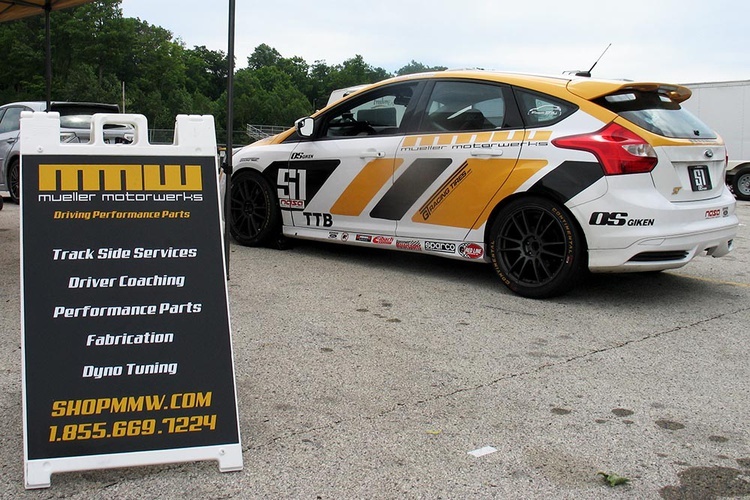 Mueller’s initial track testing of the Focus uncovered a weakness: the stock front brakes, so they ordered an AP Racing kit from Essex Parts Services, one of their vendors. The Mueller Motorwerks crew reports that the brakes have been stout ever since. Another one of the main prohibitors of speed is the car’s electronic differential. This E-diff uses the brakes to increase traction when the front wheels are fighting for grip. While this works well in street situations, on track it can quickly cook the front brakes. As a solution Mueller fits a proven, mechanical limited-slip differential from OS Giken. Ford rates the stock Focus at 252 horsepower at the crankshaft. An upgraded turbocharger setup and downpipe from ATP Turbo pair with a TiAL wastegate, Cobb Accessport tuner and Mueller intake to give the car additional bite. A Cobb front-mount intercooler has also been added. The Focus’s horsepower is limited to just 276 at the wheels, however, to fit in NASA’s TTB class. Like many turbocharged cars, the Focus ST produces a lot of heat in track situations. Ford designed a factory fail-safe mode that reduces boost as temperatures increase. The safety mode is great for keeping the engine alive, but it can pull the plug a little too early for those owners seeking max performance. After a brief conversation with Travis Watry, our instructor for the day as well as the shop’s official hotshoe, we were ready to hit the track. Our first impressions of the Mueller Focus ST came during that morning yellow-lap introductory session and, we’ll admit, we didn’t come away too happy. The Focus felt twitchy at low speeds, and we wouldn’t call the car friendly to drive. That all changed as we hit the track for our first high-speed session. As the speeds increased, the Focus ST transitioned from darty and nervous to extremely stable. Not only was this Focus far faster than any subcompact has the right to be, it exhibited safe, controllable handling characteristics that made it a joy on track. Even when we overcooked the very tight, downhill Turn 5, we could easily rein in the car and get back on line. The Focus felt very neutral, with a bit of understeer near its limit acting as a safety net. This stability put us at ease, even as the speeds increased. Some credit has to be given to the Mueller Motorwerks coil-over suspension that uses Koni dampers. Even with just 276 horsepower at the wheels, we were able to run down much more expensive machinery, although some of those drivers had a hard time believing they were giving a point-by to a lowly Focus. NASA’s Time Trial rules class cars based on performance potential, hence the 276-horsepower cap on this one during our initial drive. During a brief pit stop, head tuner Tom Geise quickly bumped this Focus ST up to nearly 400 horsepower at the wheels via a simple retune. Now we weren’t hunting V8 Mustangs and Evos; we were looking for race-prepped Corvettes–and catching them. 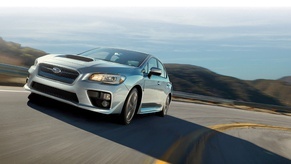 The Focus remained cool throughout, demonstrating the fine control that keeps a driver confident. Work on this one isn’t complete, as the Mueller Motorwerks staff says that more development is yet to come. Even if this one is still a work in progress, we believe the Focus ST can be a fine daily commuter and errand runner that can also serve as a serious track weapon. In reply to sergio: I know of one. Located in Colchester VT. Hillclimb rollover.